The visual arts are central to our creative curriculum at St Andrew’s. Each year we have numerous art workshops, video projects, visiting artists, gallery trips and competitions for the children to enjoy. An important part of our learning journey is the Take One Picture project. What is Take One Picture? 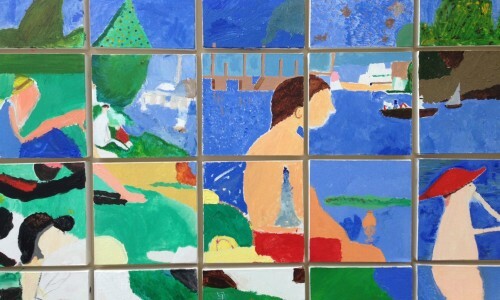 A highlight of our school year is the Take One Picture project, run by the National Gallery. Each year one of the gallery’s paintings is selected as a focus for learning. By studying the painting and the story it tells, our children have a wealth of learning opportunities to explore. Not just for art classes, but across every area of the curriculum – with some exciting results! 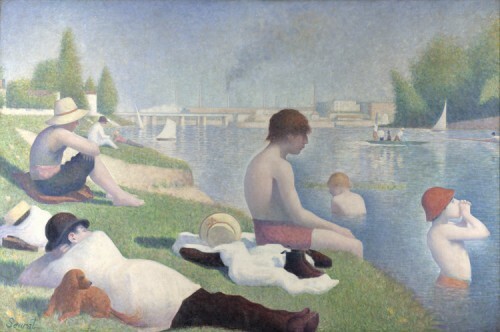 For example one painting we studied was “Bathers at Asnieres” by Georges Seurat (see above image). The painting inspired Yr2 to study world rivers for geography, Yr 4 looked at water forces like turbulence, flow and bouyancy, while Yr 1 wrote a book about Otters and made clay models of river animals. Our latest focus painting is “Mr and Mrs Andrews” by Gainsborough. 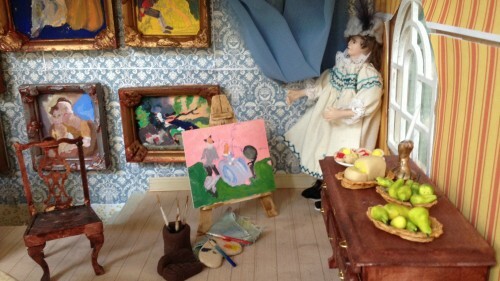 This inspired pupils to create miniature art works which were displayed as part of the Dolls House Project. Have a look at some of our fantastic Take One Picture projects below. Can you spot "Mr and Mrs Andrews" in this dolls house?